LONDON — The European Medicines Agency said Friday it was probing whether there is a link between the Pandemrix swine flu vaccine and the sleeping disorder narcolepsy amid concerns in Finland and Sweden. “The European Medicines Agency has launched a review of Pandemrix on the request of the European Commission to investigate whether there is a link between cases of narcolepsy and vaccination with Pandemrix,” the EMA said. “A limited number of cases was reported, all collected through spontaneous reporting systems, mainly in Sweden and Finland,” the London-based agency added in a statement. Finland’s National Institute for Health and Welfare on Tuesday recommended halting the use of Pandemrix until a probe into a possible link to narcolepsy among children is concluded. Last week, neighbouring Sweden’s Medical Products Agency also opened an inquiry into the Pandemrix vaccine following reports of young people having developed symptoms consistent with narcolepsy after getting their shot. “Its precise cause is unknown, but it is generally considered to be triggered by a combination of genetic and environmental factors, including infections,” the EMA said. 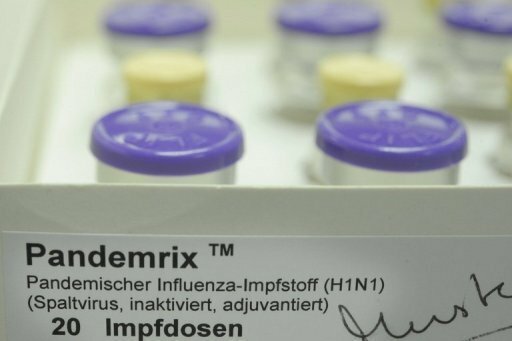 It added that Pandemrix — produced by British pharmaceutical company GlaxoSmithKline — has been used since September 2009 for vaccination against H1N1 influenza for at least 30.8 million Europeans. Remember that skeletal body scanner in Total Recall? A group of researchers from Wright State Research Institute wants to turn that little piece of science fiction into real life, with a scanner that can ID terrorists by analyzing their skeletal structure from up to 150 feet away. Sure we already have facial recognition software, retinal scanners, and those full body airport scanners, but the developers say that this system will be much harder to fool. The system can scan people as they walk in a moving crowd, and compare each person’s skeletal features against a database of known terrorists. Then using information on bone shape, density, and prior broken bones they can identify any suspect individuals. Beyond airports, they envisage the system being used at sporting events, political demonstrations, and other places likely to draw unfriendly people. Just how their system gets the images without using massive doses of X-rays isn’t clear, but perhaps we need to start considering a complete suit to go along with that tin foil hat. The country’s former president has said that the world’s most wanted terrorist always popped up when former US President George W Bush needed to scare the world, and argued that recently published documents on the internet prove it. 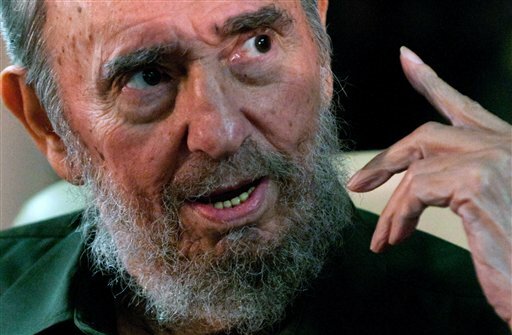 Castro told state media: ‘Any time Bush would stir up fear and make a big speech, bin Laden would appear threatening people with a story about what he was going to do. Castro said documents posted on the controversial WikiLeaks website ‘effectively proved he (Bin Laden) was a CIA agent.’ He did not elaborate further on the claims. The comments were published today in the Communist party’s daily newspaper, Granma. The secretive nature of the meetings and prominence of some members – including former U.S. Secretary of State Henry Kissinger and senior U.S. and European officials have led some to speculate that it operates as a kind of global government, controlling not only international politics and economics, but even culture. HAVANA — Fidel Castro is showcasing a theory long popular both among the far left and far right: that the shadowy Bilderberg Group has become a kind of global government, controlling not only international politics and economics, but even culture. Estulin’s work, “The Secrets of the Bilderberg Club,” argues that the international group largely runs the world. It has held a secretive annual forum of prominent politicians, thinkers and businessmen since it was founded in 1954 at the Bilderberg Hotel in Holland. The Bilderberg group’s website says its members have “nearly three days of informal and off-the-record discussion about topics of current concern” once a year, but the group does nothing else. Estulin’s own website suggests that the 9/11 attacks were likely caused by small nuclear devices, and that the CIA and drug traffickers were behind the 1988 downing of a jetliner over Lockerbie, Scotland, that was blamed on Libya. Some of Estulin’s work builds on reports by Big Jim Tucker, a researcher on the Bilderberg Group who publishes on right-wing websites. “It’s great Hollywood material … 15 people sitting in a room sitting in a room determining the fate of mankind,” said Herbert London, president of the Hudson Institute, a nonpartisan policy think tank in New York. “As someone who doesn’t come out of the Oliver Stone school of conspiracy, I have a hard time believing it,” London added. A call to a Virginia number for the American Friends of Bilderberg rang unanswered Wednesday and the group’s website lists no contact numbers. 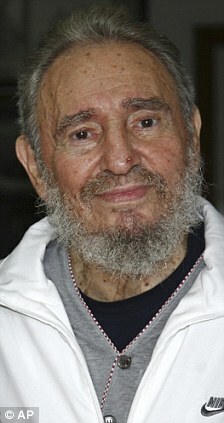 Castro, who underwent emergency intestinal surgery in July 2006 and stepped down as president in February 2008, has suddenly begun popping up everywhere recently, addressing Cuba’s parliament on the threat of a nuclear war, meeting with island ambassadors at the Foreign Ministry, writing a book and even attending the dolphin show at the Havana aquarium. 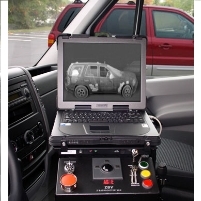 Secret Mobile Body Scanning Vans…Coming to your City? If you thought the use of full-body scanners at airports was a violation of personal privacy, just wait. The same technology is now rolling down the streets of American cities in unmarked vans. 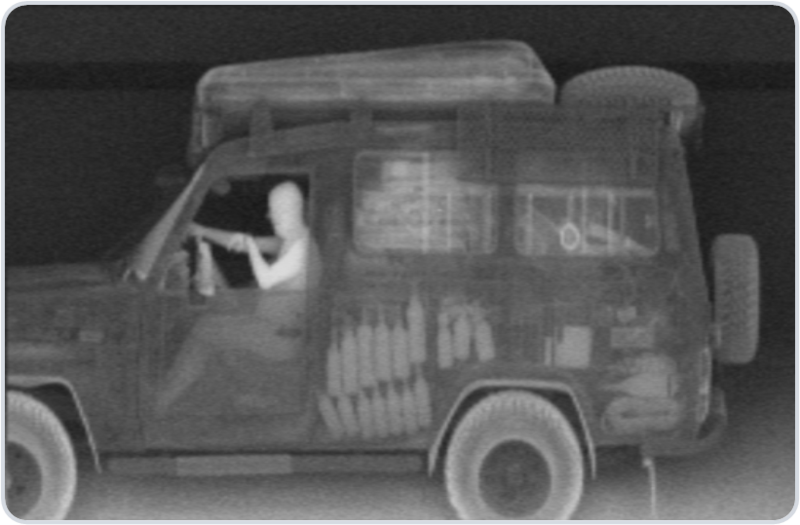 American Science & Engineering (AS&E), a Massachusetts-based company, has sold U.S. and foreign government agencies more than 500 backscatter x-ray scanners (ZBVs) mounted in vans that allow law enforcement to peer inside nearby vehicles. To date, the biggest buyer in the federal government is the Department of Defense, which has purchased the specially-equipped vehicles for use in Afghanistan and Iraq. 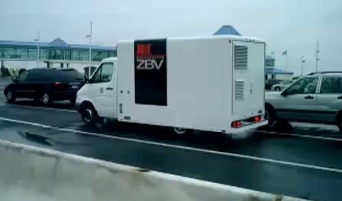 But a company executive told Forbes that law enforcement agencies are also using the vans to search for car bombs in the U.S. AS&E, which bills its product as “a non-intrusive inspection technology,” also promotes the vans for use against the smuggling of drugs and humans. AS&E’s Reiss says his company’s machines are not as intrusive as the body scanners being used in airports. He told Forbes’ Greenberg that the machines can’t reproduce images of people’s faces and bodies as clearly as airport machines.